10kBullets Raves about THE MAN WITH THE MAGIC BOX! Content wise, though this film has all the elements that have become synonymous with dystopian Sci-Fi cinema. The result is a refreshing take on familiar elements. And nowhere is this clearer, than the way which this film’s use of time travel. From a production standpoint, there is not an area where this film does not excel. The premise is superbly realized, the narrative is well-executed and key moments are given an ample amount of time to resonate. Another area where this film far exceeds expectations is how its production reinforces the future society depicted in this film. Performance wise the cast are very good in their respective roles, especially this film’s two leads, Piotr Polak in the role of this film’s protagonist a man named Adam, who has lost his memory and Olga Boladz in the role of Goria, the woman he falls in love with. Another performance of note is Sebastian Stankiewicz in the role of Adam’s closet friend, a janitor who lives inside of a closet at the building where he works with Adam. Not too be overlooked is George Orwell’s 1984 influence throughout this film. Whether is a be a government watching your every move or how it is forbidden to collect forbidden relics from the past. And the way which this film draws a parallel between the oppressive future society and that same society’s communist past. Can also be seen as an allegory about the dangers of communism. Artsploitation Films presents The Man with the Magic Box in an anamorphic widescreen that preserves its intended aspect ratio. The source used for this transfer is in great shape. Colors and flesh tones look correct, black levels remain strong throughout and details look crisp. This release comes with two audio options, a Dolby Digital 5.1 mix in Polish and a Dolby Digital stereo mix in Polish. Both audio mixes sound, clear, balanced and robust when they need too. Included with this release are removable English and English SDH subtitles. Extras for this release include, a trailer for the film (2 minutes 15 seconds, in Polish with English subtitles. Overall The Man with the Magic Box gets a strong audio / video presentation from Artsploitation Films. BigStarTV is now home to some of your favorite independent and international movies from Artsploitation Films. 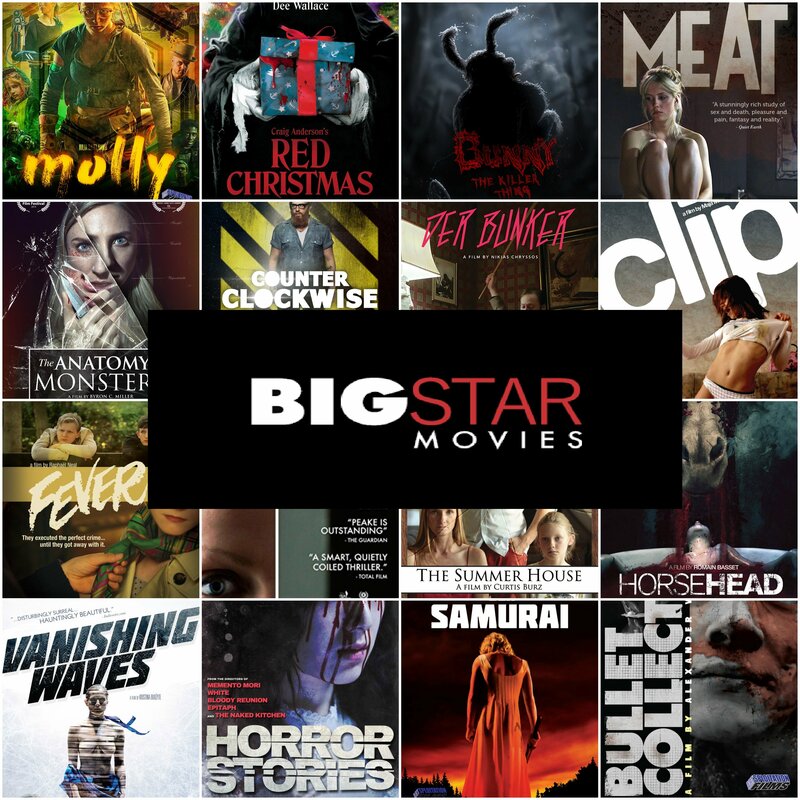 BigStarTV’s top quality VOD services make it the perfect place to view movies like Red Christmas, The Anatomy of Monsters, Clip, Der Bunker, Counter Clockwise, Horsehead, Vanishing Waves, Horror Stories, The Summer House, Fever, Meat and many others. In addition, Artsploitation’s new release MOLLY can also be streamed for FREE on BigStarTV right now. Molly is described as Mad Max meets Turbo Kid in an electrifying and imaginative tale of one young woman’s determined struggle to survive in an inhospitable world. In a barren landscape ravished by war, Molly, a super-powered young woman, roams the violent post-apocalyptic landscape, armed only with a bow and arrow, to confront the dangers around her. When a sadistic ringmaster who run an underground fight club hears of her supernatural abilities he sends his sociopathic marauders to capture her and make her a star attraction in his cage fights to the death. Award winning Independent movies, foreign films, documentaries, film festival winners, shorts and more. Select from thousands of movie titles. Watch hundreds of titles for FREE! If you’re looking for Hollywood movies, this app isn’t for you. If you love alternatives to the typical Hollywood flick, check us out, you won’t be disappointed! Adding new titles each week.